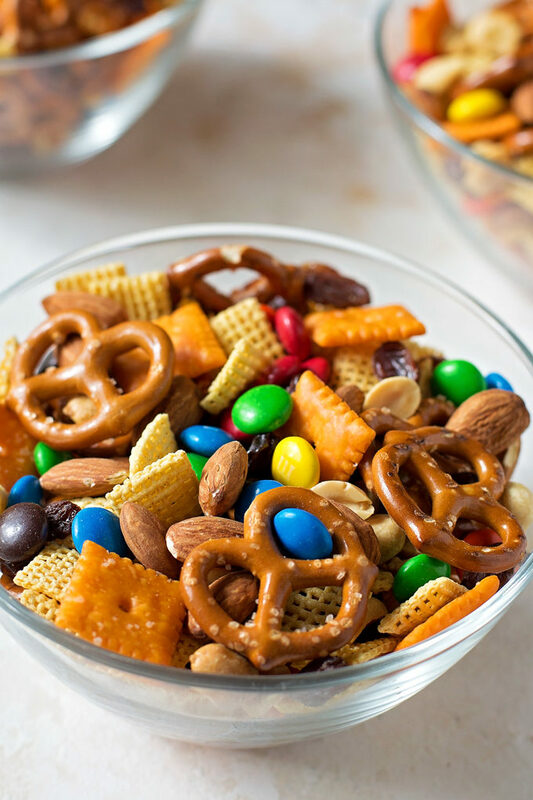 This sweet and salty combo makes for the perfect after school snack mix. Plus it can be thrown together in a matter of minutes! 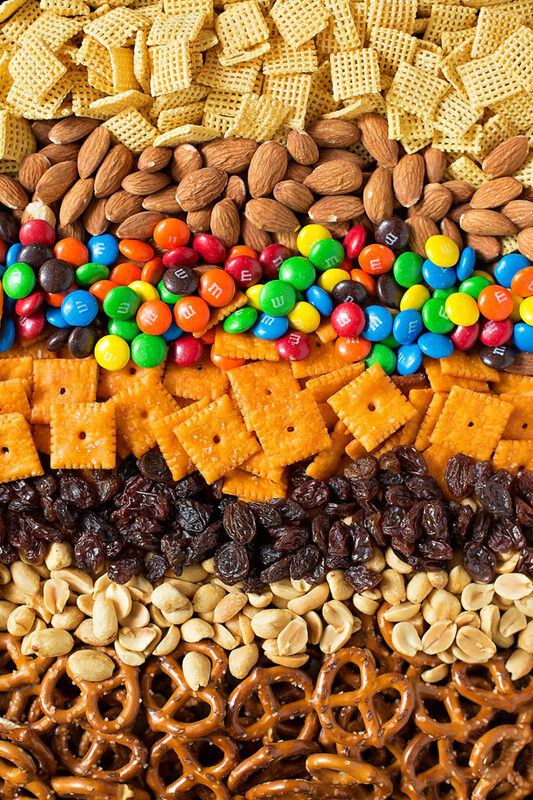 Are you a big snacker? I usually stick with the 3 meals a day thing, but when I’m pregnant, I’m constantly snacking throughout the day. My kids are the same. They do best if they have a small mid-morning snack and a mid-afternoon snack. 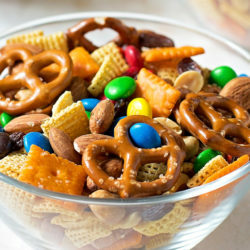 Lately we’ve been munching on this sweet and salty snack mix along with fruit and cheese. It’s the perfect little pick me up! I thought this would be a fun little mix to make for school-age kids. It’s got a nice balance of everything without being overly indulgent. 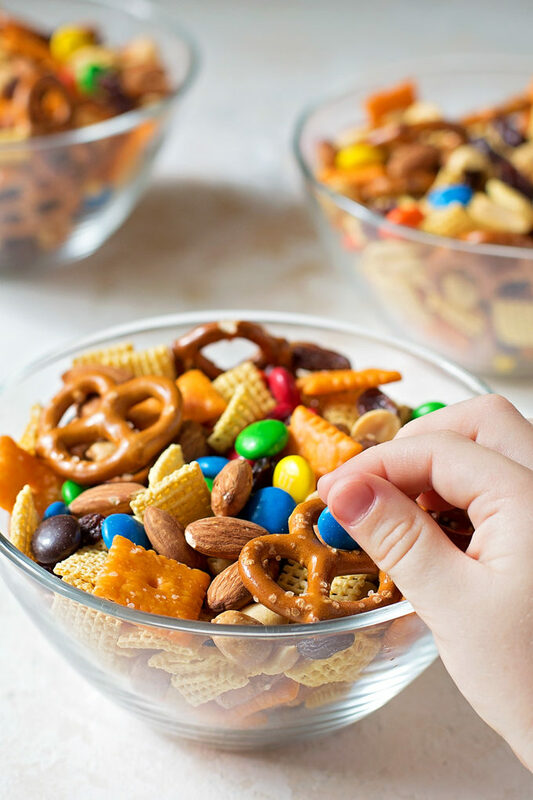 If you want to skip the M&M’s you could easily replace them with something *slightly healthier* like honey roasted cashews or my favorite, Angie’s BOOMCHICKAPOP kettle corn (swoon). Speaking of swaps… you can pretty much customize this mix however you like. Don’t want to use Cheez-Its? Try Goldfish or Annie’s Cheddar Bunnies. Don’t want to use pretzel twists? Try butter snaps or peanut butter filled pretzels. Don’t want’ to use regular raisins? Try yogurt covered raisins. You get the idea. If there’s something your kids would rather eat, put it in there!! This particular mix is one my kids WON’T pick apart. 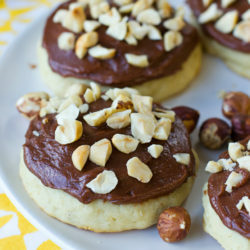 They’ll eat everything in it- no complaints! 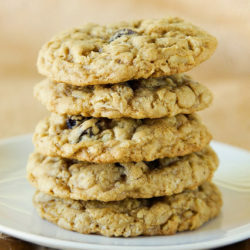 Store it in an airtight container for up to 3 weeks, or portion it out in little snack bags or small snack containers. Whatever makes life easier, right? 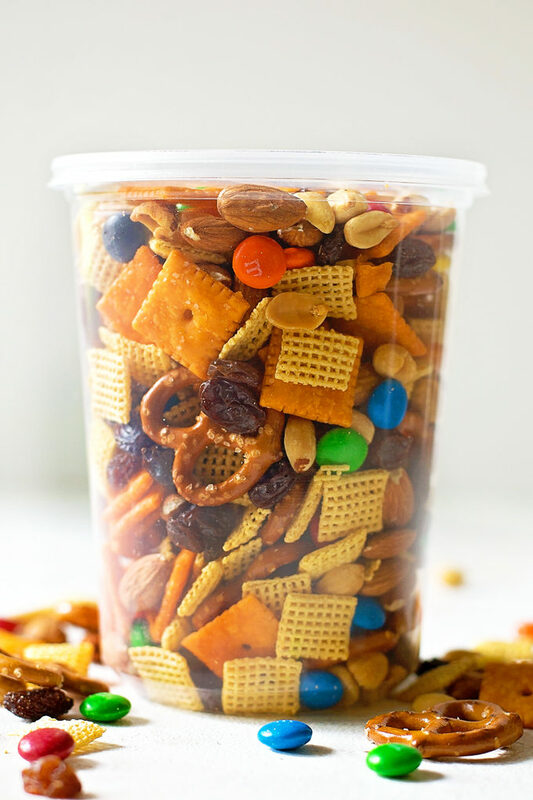 If you’re looking for a fun little snack for your kids to eat after they come home from school, give this mix a try! 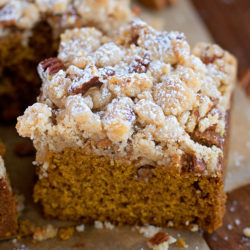 It’s sweet and salty with a little bit of protein mixed in. 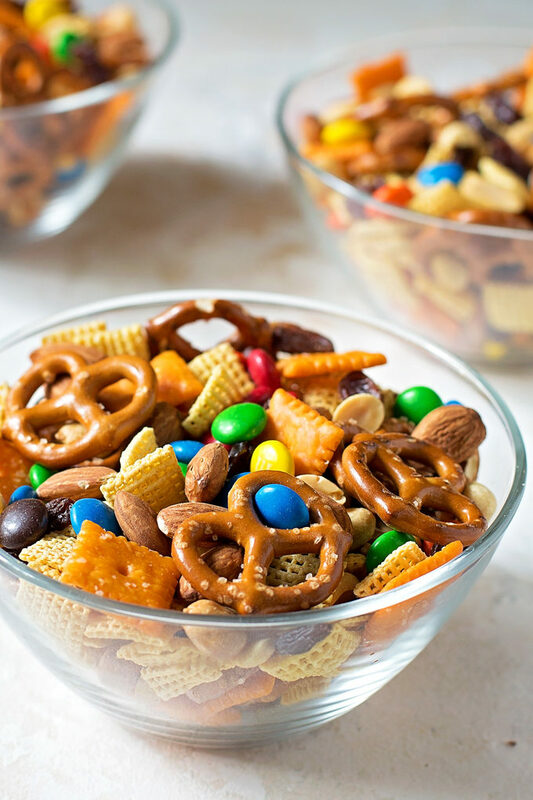 Toss ingredients together in a large mixing bowl. Portion into individual servings or store in a large airtight container for up to 3 weeks. – You can make any swaps necessary to better suit your kid’s tastes! This mix was one that both my 2 year old and 4 year old both loved. I can only imagine bigger kids would love it too!